Technology is constantly moving on, but not always for the better! It is not always correct to assume that the next operating system is better than the previous one, as much as we would all like it to be! Transferring data to another computer or device. Cloning a HDD is a tricky and complicated process - but, it is possible and we can provide this service. This cannot be used for illegal purposes and will fail any validation that an operating system requires, if fitted to a different computer system. A cloned HDD needs to be fitted back into the original computer unit or be used purely for data. In general we are able to remove data from a computer or device,so that it is not recoverable. 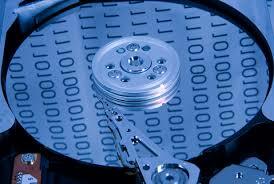 In general we can recover data from Hard Disk Drives - but they need to be working. One of the biggest issues that we find is where data is not backed up or stored in another safe location. It could be on an external hard disk drive or memory stick - or these days on Cloud type devices. We are often called in just at the point where the client has just realised that they may very well loose all of that precious data. This is where data recovery comes into action. Here is a complete list of our data services - we will endeavour to add more to the list. We offer this service for anyone that simply needs to transfer data from one computer to another. This may be required after the purchase of a new computer and before the disposal of the old computer. This service is charged at our standard rate of £35.00 per hour. We offer this Cloning Services Page for anyone that simply needs to transfer all their data and programs from one hard disk drive (HDD) to another (cloning). You might need to do this for a variety of reasons: failing HDD or clone or a HDD that is too small. You will need to either purchase a new hard disk drive from us or from your chosen supplier (it must be the same size or bigger). This service will clone everything (as far as possible) from one HDD to another. This service is often used in conjunction with the `data transfer` service above. It is a process of destroying data to a US government standard, where the data then cannot be restored, even when using data recovery techniques. This is of often used just before a computer is disposed of, for any particular reason. Data recovery service is used when the data becomes corrupt or the computer is unusable. At this point data is often more important than the actual computer and data is needed for what ever reasons. This service can be used to recover data from a damaged hard disk drive. We use specialist equipment to attempt to read and then recover the data - it can be quite a lengthy and time consuming process. If we are unable to recover the data - and where it is essential that it is recovered, we also use another national data recovery company, but only after we have established that the problem is more complicated - we always inform the client first. We recover data to another drive, if you have an external hard disk drive, we can use this or we can recover to various types of media. We do not suggest that you try and recover your own data unless you know what you are doing. Software - we use a variety of professional software and professional techniques to carry out data recovery. The more that you use the HDD that needs to be recovered after you discover the requirement for data recovery, the harder it is and the more data you are likely to lose! Never try and recover data back to the same drive! Prices depend upon the amount of data and the HDD size. Prices also depend on the original problem and if the HDD is still functional.